Work, work, work around the clock (and cut into couch-cuddling-before-bed-for-the-millionth-time time) just to get by. Stay glued to your phone so you can post, comment, like, retweet ALL the social medias because you just don’t know where to focus to actually grow a following. Reply to client emails within minutes because you dont wanna look like a flaky/unresponsive hot-mess-of-a-businesswoman. Shove out content-piece-after-content-piece to an audience of who-knows how many (if any). Hustle all day and STILL wish for 10 (or more) hours to get er all done. Labor over 2.5 blogs a week and writing at least one value-packed Facebook post a day. Let clients call all the shots and be the boss. Start having crazy-good opportunities land on your lap (or in your inboxyep, even if youre not the best and no one knows who you are…yet). Serve your clients welland serve that delicious gluten-free ziti to your family, too. Have a strong personal brand that allows you to #doyouand book clients with high fees who see the value in what you do right from the start. Log offline at a decent hour. Feel good about showing up and helping clients. Grow the business you have dreamed of! You just need a true-to-you personal brand, and a solid marketing strategy. 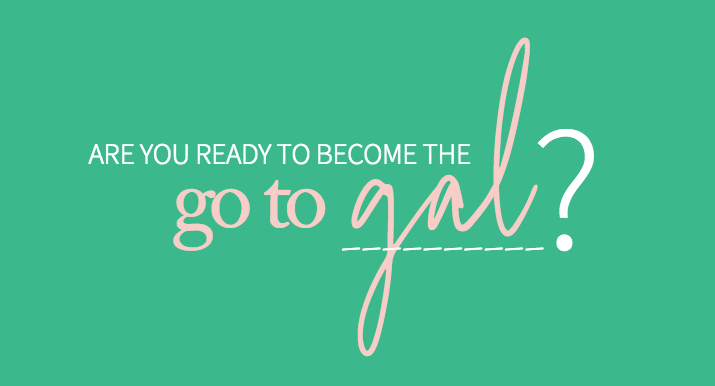 An 8 week live program to help you become the Go-to-Gal in your space! Over the next 8 weeks, we’re going to transform you and your business from the inside out, so you can take that leap from “blending-in-business-owner” to BRAND. put yourself out there in a bigger way! Find and OWN your niche. Align your goals + gifts so your business goes with – not against – your natural skills and rhythms. 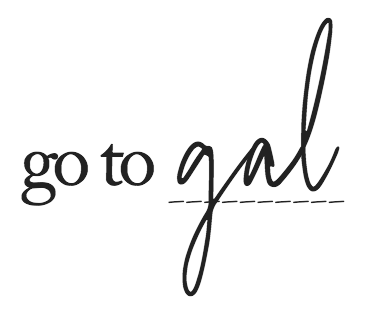 Mindset Exercise: Your Go to Gal Identity. Learn to notice all of the ways you’re holding yourself back, and how to break free of those patterns and beliefs. Mindset Exercise: Put the past behind us so we can imperfectly leap forward. The ONE thing to include that eliminates all competition and makes you completely irresistible to your dream clients. Packaging your offer as a value-packed solution. Mindset Exercise: Own who you are meant to be and step into that role NOW. Putting a process in place to go from prospect to client. Listen to your inner mean girl and can face your fear, doubt, and worries head on…so you can move forward. Mindset Exercise: Growing with Ease. Have opportunities fall on your lap from your network of friends + fans. Mindset Exercise: Giving + Receiving. Attracting Buyers instead of DIYers. Create a content strategy that attracts your dream clients who will actually PAY you! Create your Brand Strategy + clarify your messaging so that you will attract your dream clients like whoa! Get published, quoted, and interviewed by the websites you love and podcasts you listen to. Become friends and collaborate with the people you look up to. 8 Office Hours sessions with Jaclyn, to answer any questions and help you put this program into action. Private Facebook Group for our close-knit intimate group to share, ask, celebrate, vent, collaborate, refer, cheer, and hold each other accountable. Hey there, I’m Jaclyn Mellone! Im a mindset and marketing mentor, and co-hostess of the All Up in Your Lady Business podcast. I’m passionate about helping entrepreneurs make a big impact AND income from the inside out. I run my not.so.mini.anymore-empire from Upstate New York with my hubs Chris, our sweet + sassy 4-year-old Eleanor, our cuddly toddler Marshall, and our fluffy-fur-boy Louie by my side (and sometimes, on my lap). Some people say I’m *lucky*, but I know enough to know I create my own luck. By combining marketing strategy AND mindset, I’ve been able to build a personal brand and business where opportunities fall on my lap. I’ve pivoted, shifted, messed up, ugly cried, had accidental successes, hustled harder than I should have, tried doing #allthethings, and found my stride doing things my own way. I ended up creating my own version of success, that gives me the room to enjoy the life I’ve built. There’s no single formula and no magic pill, but there is a better way! I’m excited to show it to you. This program is designed to help YOU create your own luck and build the business of your dreams! I started in the online world over a decade ago as a professional eBayer. Seriously, I launched and ran an eBay store for a multi-million dollar catalog company while I was in college. I’m completely incapable of painting my own nails. I like to blame it on being left handed…just go with it! My first $30K month had nothing to do with teaching other people how to make money. I’ve grown my social media presence from zip, zero, nada to over 50,000 followers without ads. I launched my first group program (a membership) two years ago …I had 300 people on my email list and started with 29 paying members. I am a firm believer in surrounding yourself with amazingly supportive people who continually challenge you to be the best version of you. I can easily see new opportunities and creative solutions, but can’t spot a typo for the life of me! 4 new clients + nurturing 2 more after 60 days! Previous to this I had, had the same 3 or 4 clients for 2+ yrs without much growth. I’m also in love with my business, which wasn’t the case a few months ago! My mindset around relationship building has changed – chatting on the phone and getting to know new people isn’t scary. I actually love it! 3 new clients in just 6 weeks! When I started working with Jaclyn I was completely unsure of what direction to take in my business. I wasnt sure what to focus on day to day and I felt like I was never gaining any traction. I was splitting my focus between my service-based business and my membership site where I provide training and resources for virtual assistants. I always felt guilty or that I should be putting more time into the membership, but the hard deadlines from my service business always won. I was really at a crossroads. Thats when Jaclyn helped me find the clarity I needed to move forward and stop spinning out of control. With her help, I made the difficult decision to close down my membership site and completely focus on my service-based business while niching down and only focusing on Infusionsoft clients. Its funny because once I finally made those decisions I felt lighter, excited about my business again and the doors started to open up. Of course it was scary, but when I started getting new IDEAL clients paying me what I was worth, it felt amazing. I was finally making decisions in my business and feeling confident about the direction I was going. 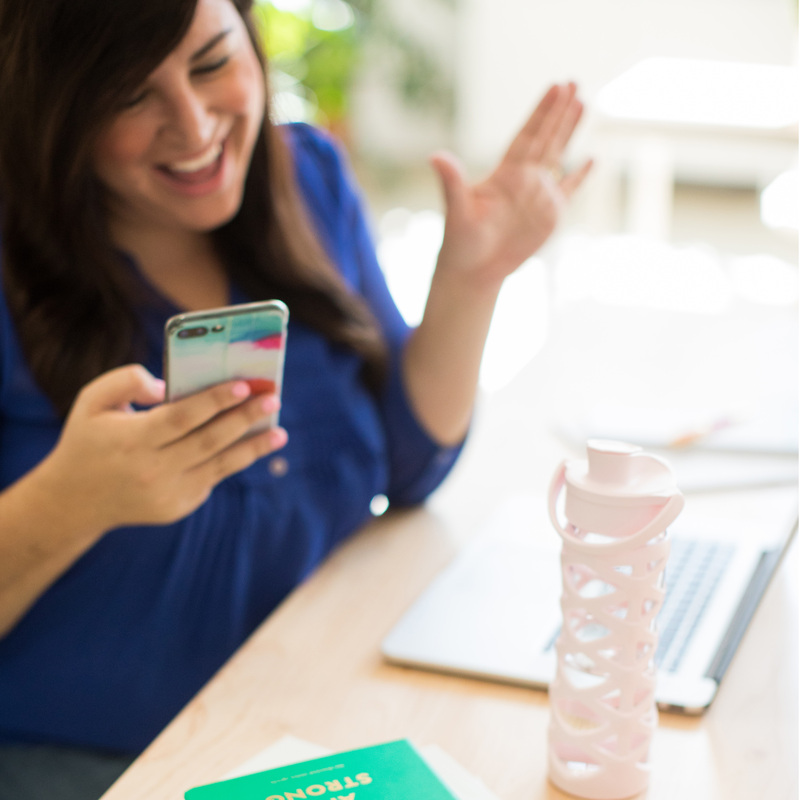 Jaclyn was able to dig into my business quickly, which allowed me to have multiple “ah-ha” moments in our very first call–which is exactly why I signed up for more! She is an expert at finding those deep issues that are holding you back and turning them around into an imperfect action that leads to forward momentum. Working with her, I feel constantly encouraged and supported in where I am in business and where I want to go! Booked an intensive in less than 30 days! 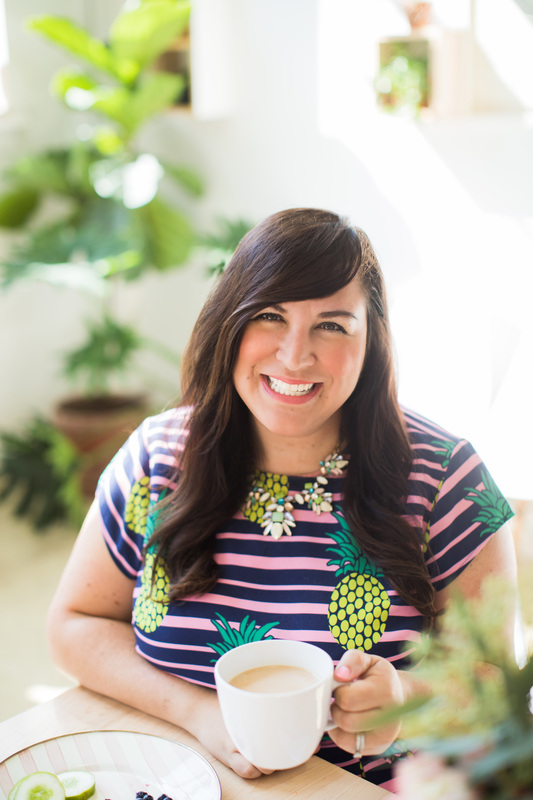 I knew I had to work with Jaclyn because after trying #allthethings to take my business to the next level, it became clear that what was really holding me back was MEmy mindset, my own insecurities and fears. I’ll be honest., the idea of working with a “mindset coach” was pretty scary. I mean, could I justify that as a business expense? But after lots of dollars spent on other courses and marketing strategists, working with Jaclyn has been the one investment that has made the most dramatic impact on my business this year. For those of us who are aspiring go-to-gals, the line between personal and business is incredibly blurred. We take our businesses very personally. We insert a lot of ourselves into the work that we do for our clients. Jaclyn is uniquely skilled at helping you meet those challenges head on! Booked 11 NEW clients in 2 months! When I started working with Jaclyn, I didnt have anything that helped set me apart from other designers. She helped me realize not only the importance of adjusting my service menu to align with my ideal client, but also helped me determine what those offers would look like. Now instead of struggling to get discovery calls, I have a waitlist of clients!